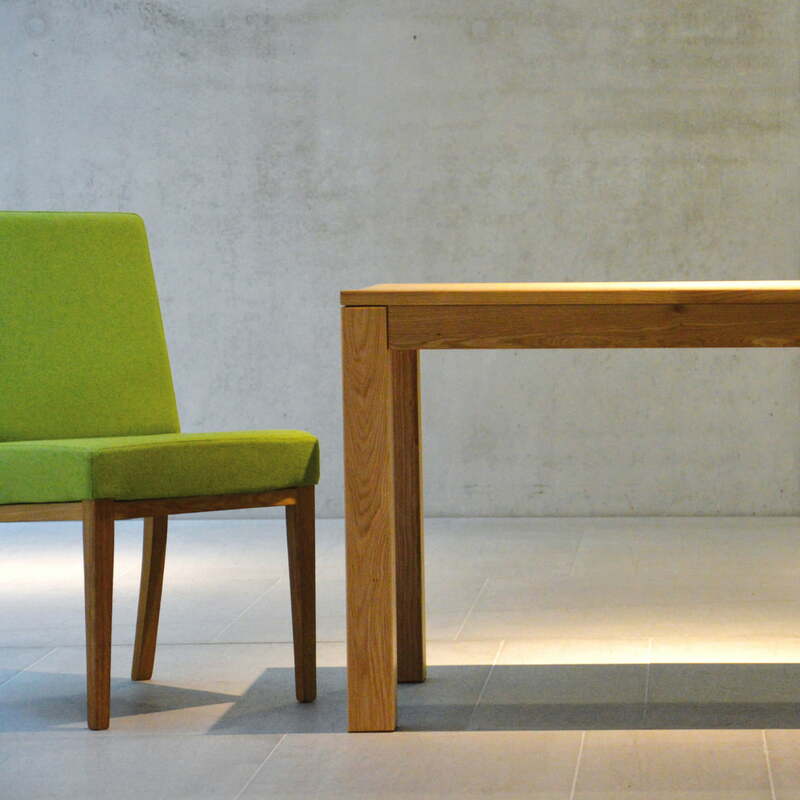 The Cana wooden table by Jan Kurtz is a high-quality piece of furniture for the whole family. 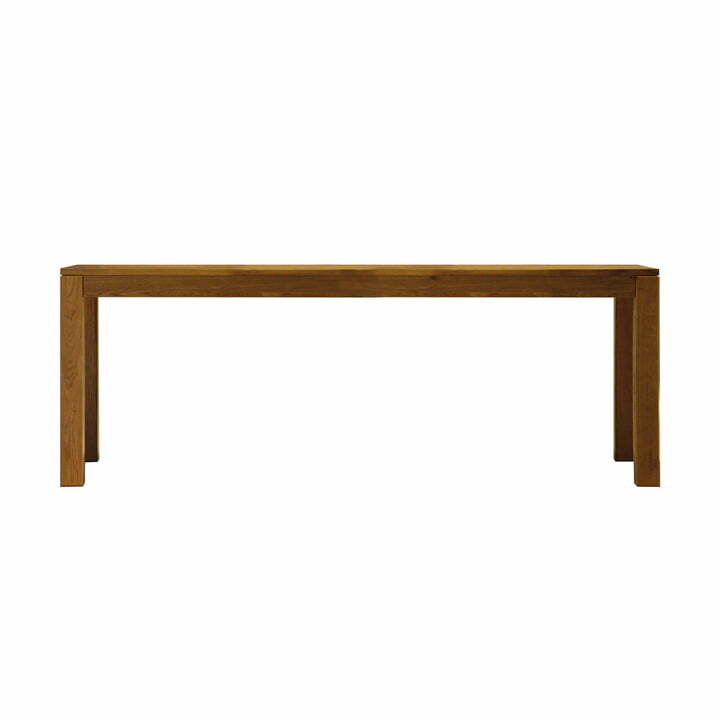 Made of rod-bonded oak straps, the table is particularly robust, yet looks simple and elegant. The timeless design fits perfectly into any environment and has a natural charm and welcoming warmth. Fancy dinners with friends, long breakfasts with family and fun evenings playing board games can be spent at the Cana table. Measuring 90 x 180 cm, the generous dimensions of the table seats 6-8 people. Thanks to the simple, straightforward design, the Cana table can be supplemented by various chairs and benches. This makes it possible to personalise the seating area where you will create many happy memories. 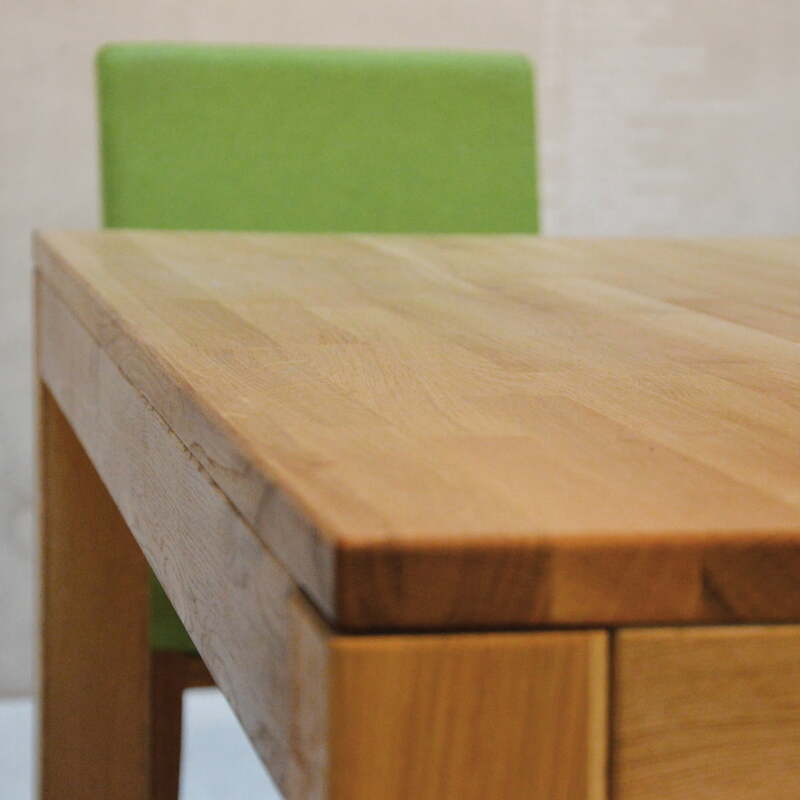 Isolated product image of the Cana table by Jan Kurtz in oiled oak: The Cana wooden table by Jan Kurtz is a high-quality piece of furniture for the whole family. Fancy dinners with friends, long breakfasts with family and fun evenings playing board games can be spent at the Cana table. Measuring 90 x 180 cm, the generous dimensions of the table easily seat 6-8 people. Thanks to the simple, straightforward design, the Cana table can be supplemented by chairs and benches of all kinds. This makes it possible to personalise the seating area where you will create many happy memories.